To make the taco "meat," in a food processor with the S-blade, pulse the walnuts, liquid aminos, olive oil, coriander, cumin and 1/4 tsp. salt until chopped, but still a little chunky. 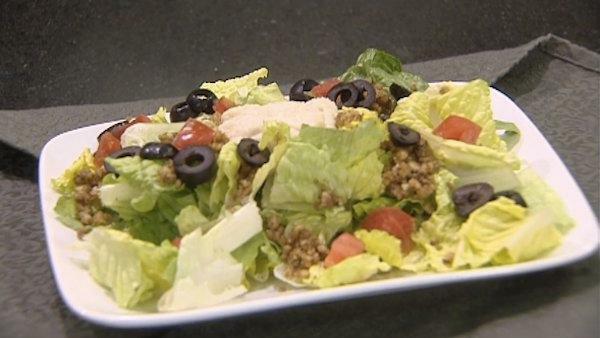 Tear or chop romaine leaves, add the taco "meat" and other salad ingredients. To make the cashew sour cream, blend cashews, water, lemon juice and 1/2 tsp. salt in the food processor until smooth. Store the leftovers in an airtight container in the refrigerator for up to three days.